As the industry evolves, both in its makeup and reliance on technology, new policies and procedures will develop. As far as technology is concerned, SCW can help with that. If your business is in need of modern and effective solutions to power its operations, reach out to the professionals at SCW by calling (509) 534-1530. Sam is a network engineer with a broad range of experience spanning more than 35 years. He wrote is first piece of code in 1979 and has been involved with the industry ever since. 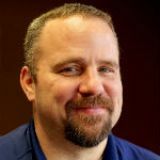 For the last 20 years, he has worked for SCW Consulting where he has embraced his passion for network technology and security. Learn more about SCW and what we can do for your business. Copyright SCW. All Rights Reserved.